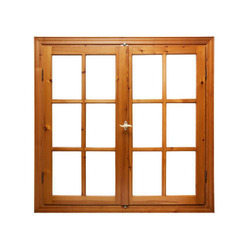 Manufacturer of a wide range of products which include combination wooden foiled window, brown casement wooden windows, casement wooden window and brown casement wooden window. We have carved a niche amongst the most trusted names in this business, engaged in offering a comprehensive range of Combination Wooden Foiled Window. We are engaged as the manufacturer and trader of Sliding Window, Casement Window, Combination Window and many more Our aim is to use deliver defect free products, to cater the needs of all those who are concerned with our quality of products. 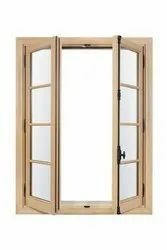 We are one of the trusted companies of Brown Casement Wooden Windows. Our products are enormously admired in the market owing to their top features. Keeping in mind ever-evolving requirements of our respected clients, we are providing a premium quality range of Brown Casement Wooden Windows. Casement Wooden Window Wholesale, earliest form of movable window, wood or metal framed, with hinges or pivots at the upright side of the vertically hung sash, so that it opens outward or inward along its entire length in the manner of a door. One frame, separately movable, of such a window is called a casement sash. 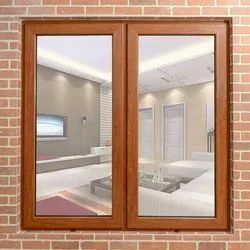 We have carved a niche amongst the most trusted names in this business, engaged in offering a comprehensive range of Brown Casement Wooden Window.